Remarks: State office only has indexes for public marriage certificates that occurred from 1949-1986 and 1998-1999. For all other years, contact the County Recorder in the county where the event occurred; for confidential marriages, contact the County Clerk where the marriage license was issued. A personal check or money order should be made payable to CDPH Vital Records. Please do not send cash. To verify current fees, the telephone number is (916) 445-2684. This will be a recorded message, with an option to talk to a customer service representative. 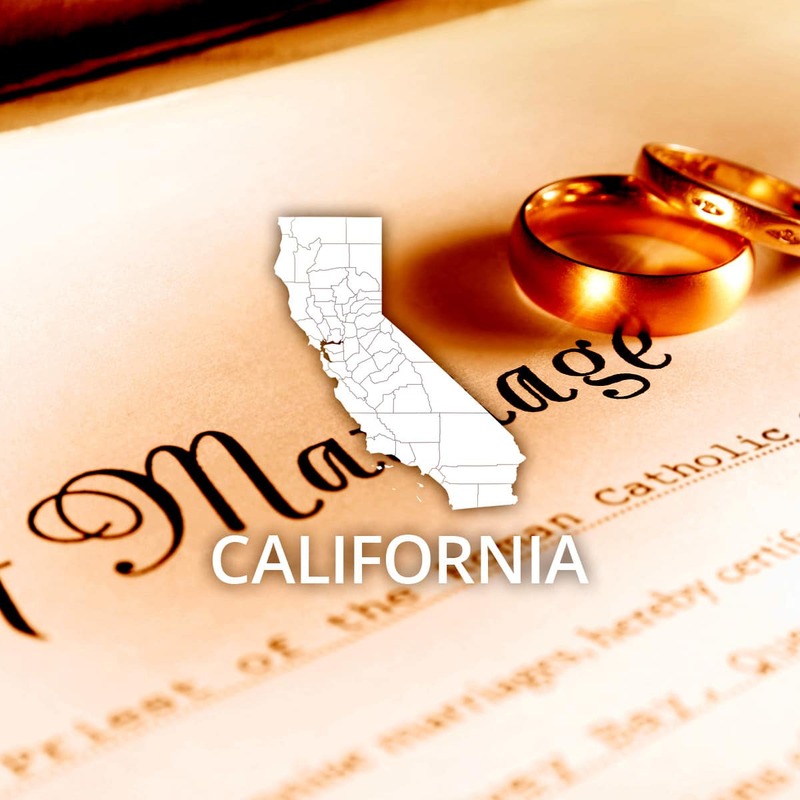 Information on how to obtain a marriage certificate, as well as information about current processing times, is available via the California Department of Public Health website. In order to obtain a Certified Copy you MUST complete the sworn statement included with the marriage certificate application form, sign the statement under penalty of perjury, and your sworn statement must be notarized. If your request indicated that you want a Certified Copy but does not include a notarized statement sworn under penalty of perjury, the request will be rejected as incomplete and returned to you without being processed. If you request a Certified Informational Copy of the record, a notarized sworn statement is not required. Please refer to the CDPH website for further information about Informational Copies. Effective November 1, 2013, CDPH - Vital Records is no longer embossing certified copies of records. Event: Marriage (County) Cost of copy: $14.00 Address: See remarks. Remarks: Contact the County Recorder (for public marriages) or County Clerk (for confidential marriages) in the county where the license was issued. Contact information is available via the California Department of Public Health website.